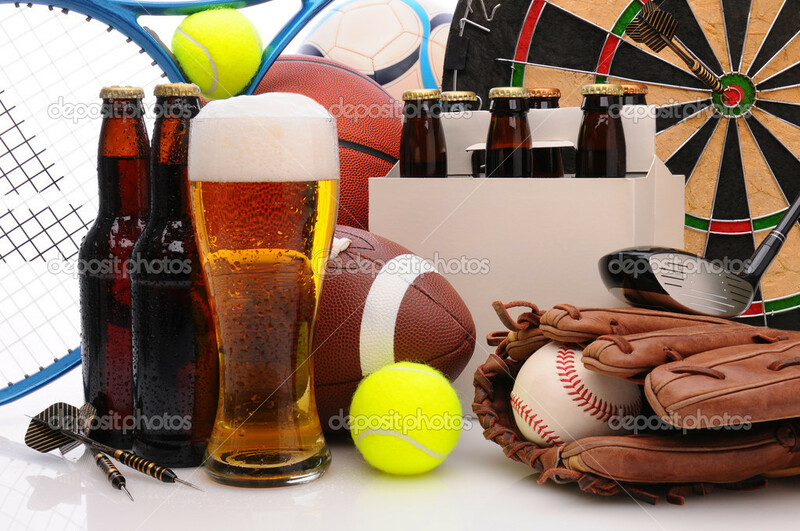 Six pack of beer and frothy glass surrounded by sports equipment. Horizontal Format Filling the frame. Sports represented include, football, basketball, soccer, darts, baseball, tennis and golf.